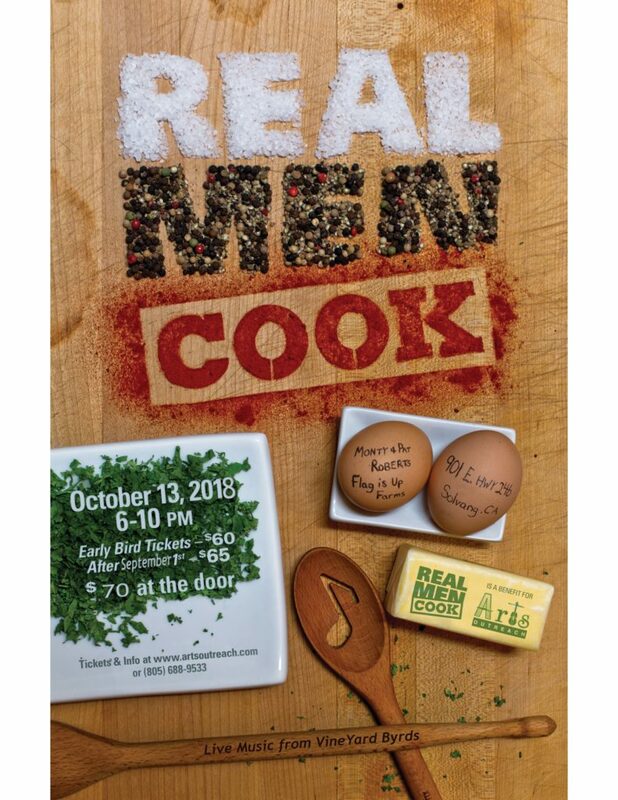 Real Men Cook, Arts Outreach’s much anticipated annual fundraiser, combines over 50 amateur male chefs, up to 35 premier local vintners and brewers, live music and fantastic auction items to create the Santa Ynez Valley’s Party of the Year! Interested in being a chef? Click on the link below! Click Here To Become One Of Our Chefs! Like us on Facebook and follow us on Instagram (@artsoutreach) and Twitter (@ArtsOutreach1) to stay up to date with our latest events!